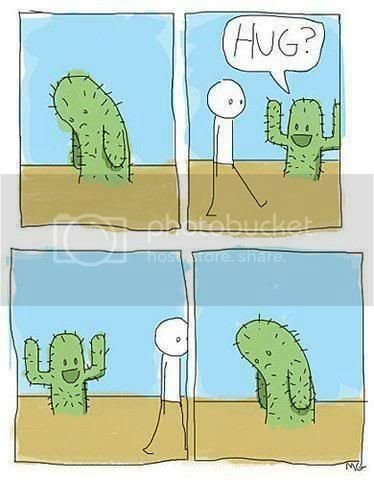 Poor little cactus :( I'll hug you! As long as I put on some sort of protective gear first! Reminds me of Edward Scissorhands, also very sad.